When trying to win a game of hide-and-seek you should always look for difficult places to hide. 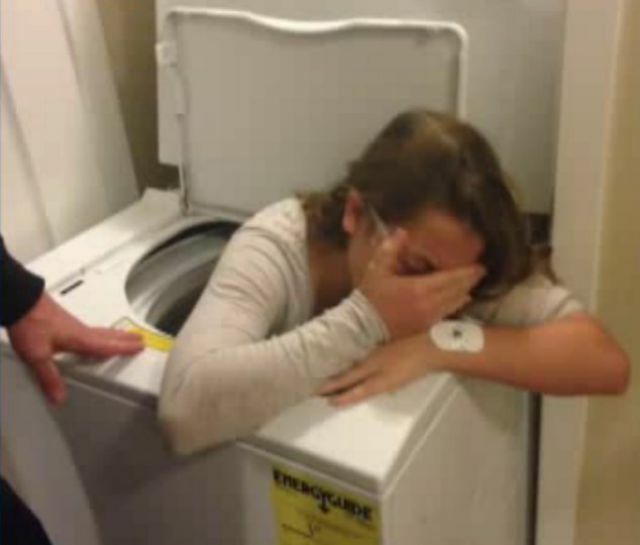 This 11 year old girl decided the washing machine would be the best place but unfortunately didn’t realise her hiding place would become her living quarters for the next 90 minutes. 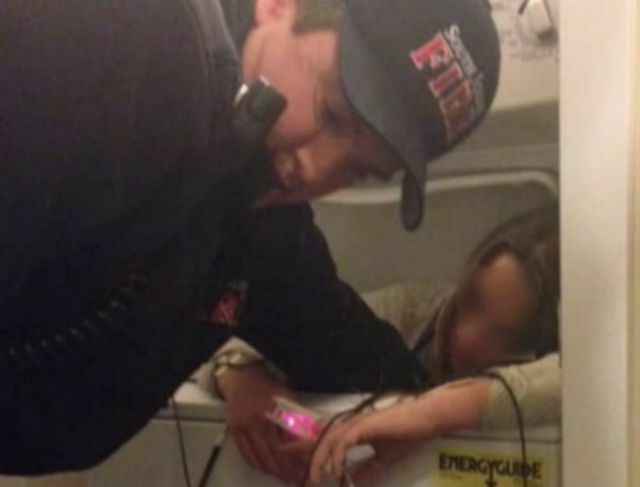 After her friends unsuccessfully tried using ice cream and peanut butter to help get her out, they called the emergency services who eventually freed her. Wtf? How the hell is ice cream and peanut butter going to help? 90 minutes and they're checking blood-oxygen saturation and ECG? Seriously?